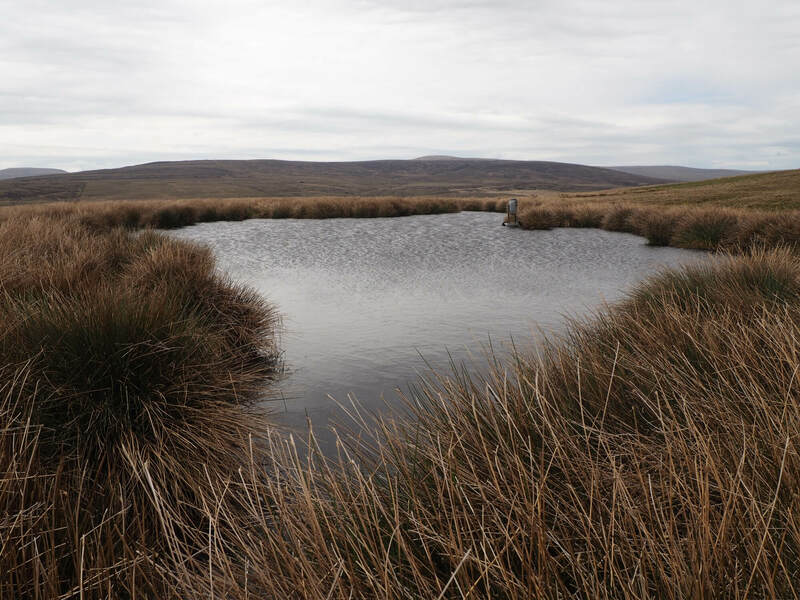 Tom Hags Tarn is a small reed-fringed tarn that is located on the moor a quarter of a mile above the small hamlet of West Stonesdale. The tarns is fairly easy to reach from the indistinct public footpath that contours around West Stonesdale Out Pasture between West Stonesdale and Ravenseat in Whitsundale. 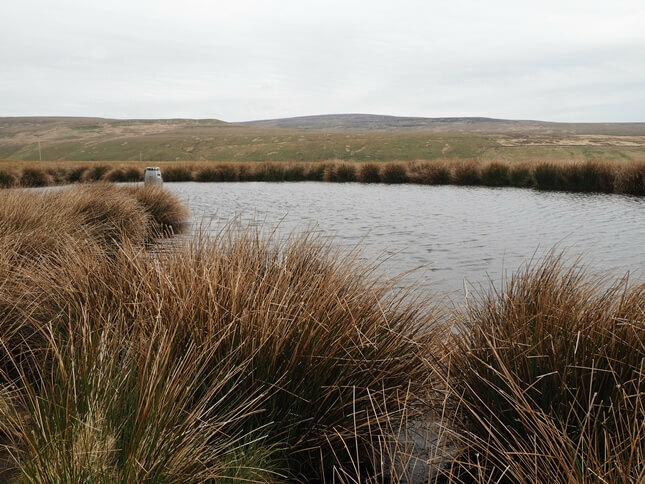 The tarn is surrounded by tall reeds which provide cover for ducks and other water fowl that make it a home. The reeds perhaps also trap the unwary as was seen on my visit by the drowned body of an unfortunate sheep. 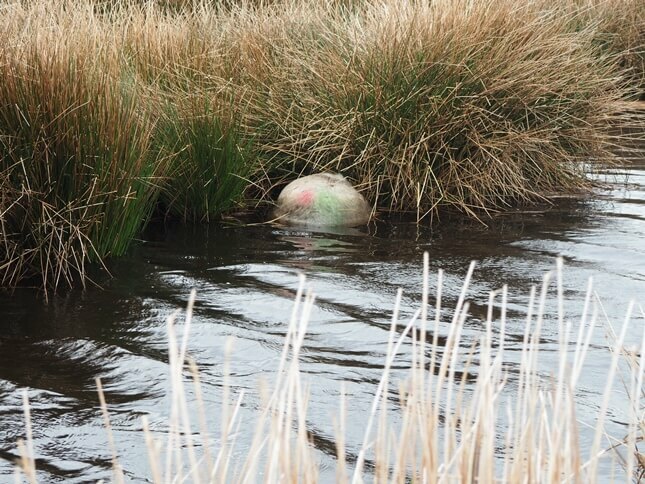 The tarn also has a large plastic barrel sticking out of it, presumably some sort of feeding station.